The PMAG 20 LR/SR GEN M3 brings the M3 improvements to the 20 round 7.62 NATO/.308 Winchester SR-25 magazine form factor. All of the GEN M3 improvements are here in the 20 round capacity of their previous design. 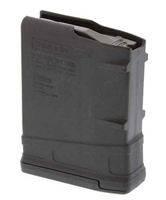 The PMAG 10 LR/SR GEN M3 will replace the MAG243 in the line. Made in USA!! The PMAG 20 LR/SR GEN M3 brings the M3 improvements to the 20 round 7.62 NATO/.308 Winchester SR-25 magazine form factor. All of the GEN M3 improvements are here in the 20 round capacity of their previous design. The PMAG 20 LR/SR GEN M3 will replace the MAG243 in the line. Made in USA! !